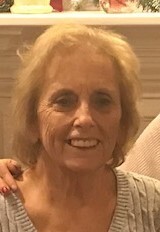 Ann Louise McGlinch, age 74 of Bradford, passed away Monday, April 1, 2019 at the Upper Valley Medical Center, Troy. Ann was born on November 24, 1944 to the (late) Robert & Norma (Monnin) Moore; was a graduate of Bradford High School; retired from Copeland, Sidney with 35 years of service; a member of Immaculate Conception Catholic Church; a member of Covington Eagles Aerie #3998; a member of the Bradford Community Club; loved line-dancing at Dayton Two Steppers and JR’s; and enjoyed being with her grandkids and great-grandkids. Preceded in death by her parents and sister, Mary Goings. Ann is survived by her significant other, Mike Cook of Troy; two daughters and son-in-law, Deb & Mike Sell of Bradford, Michelle Dunlevy of Bradford; five grandchildren, Danielle & James Bolen, Erin Sell, Austin Sell, Ryan Dunlevy & fiancée, Krissy Corbin, Brooke Dunlevy; two great-grandchildren, Casey Bolen & Lukas Bolen; seven brothers and sisters, Tom & Linda Moore of Bradford, Joe & Kim Moore of Bradford, Peg & Dewaine Minnich of Arcanum, Missy & Steve Smith of Troy, Kathy Carine of Tipp City, Sally Anderson of Kernersville, NC, Jean & Mark Karnehm of Bradford; nieces, nephews, other relatives and friends. Mass of Christian Burial 11:00 AM Friday at the Immaculate Conception Catholic Church, Bradford with Father Jim Duell celebrating. Interment Greenville Creek Cemetery, Bradford. Visitation 5-8 PM Thursday at Stocker-Fraley Funeral Home, Bradford. If desired donations may be made to the Bradford Athletic Boosters. Condolences may be left for the family at www.stockerfraley.com.